When you go to the grocery store, do you ever find your inner voice asking yourself, "now how much did I pay for that [insert grocery item here] the last time I got a good deal?" Can't remember if it was $0.50 or $1.50/lb that was the good deal for bananas? 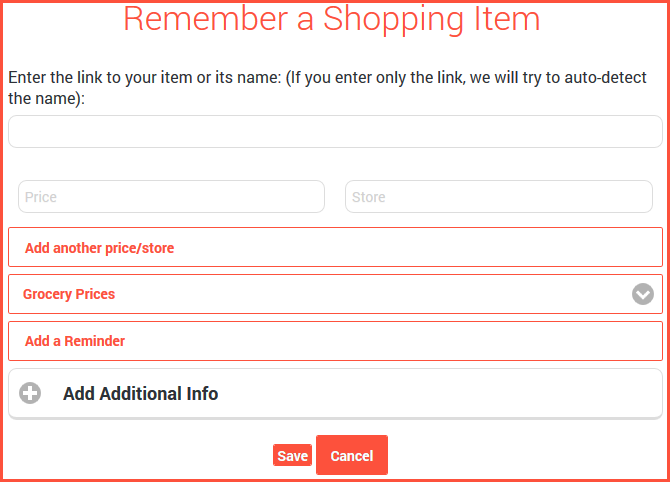 RememberStuff Shopping (shortcut: shop.rememberstuff.me) has a feature that may just help you out with this dilemma. Let's quickly walk through the steps to help you on your way to remembering what the best grocery prices are for the items that you buy. 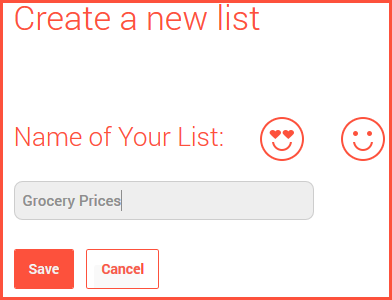 Create a list called "Grocery Prices" (or whatever name you like) and select "Save"
Enter as many items as you like. 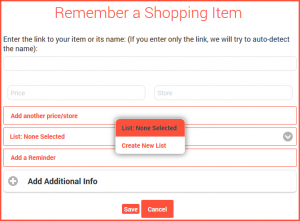 Now, when you go the my shopping page, you can quickly find/filter your items, see if the price this week is a good one, and decide if you want to buy that item this week or wait until next week. You now have the ability to remember grocery prices, as well as any other shopping item you might want! Happy Grocery Shopping! If you think this article could help someone else, please pass it along. And, feel free to check out the Remember Sites portion of rememberstuff.me to save any link on the web. Thanks! 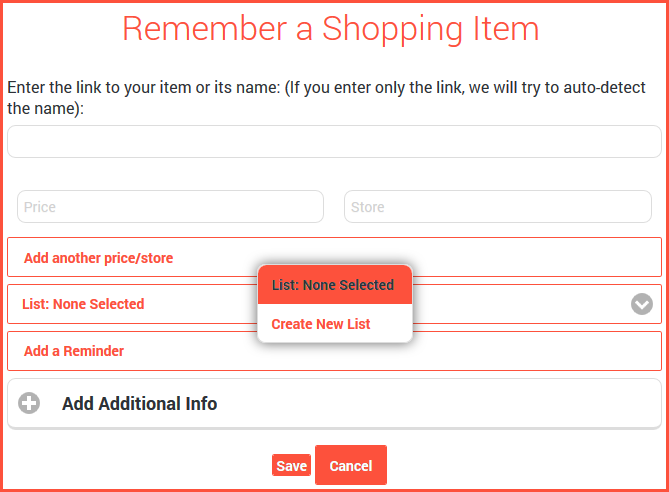 Start creating a grocery list which helps you remember the items and find out the best deals at RememberStuff Shopping and make shopping easier than before. 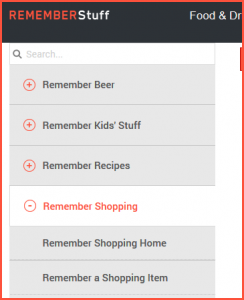 Remember Stuff allows you to easily import, save and search your favorite recipes. You can also use it to find great wines, save great restaurants you want to visit, and in many other ways that make your life easier. As founder of Remember Stuff and a father of 2, I know what it's like to try to juggle family life and work. Hopefully, the tools on the site help you to save time, save money and Make Life Easier!